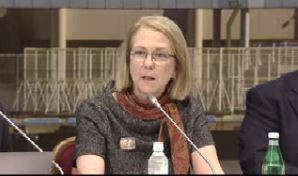 This session was all about Strategic Planning for the next 5 years of ICANN. It was labelled as a High-Interest Topic. It was open for all the people who wanted to weigh in on what will be the strategic focus of ICANN for the next five years. People engaged in community discussions with the ICANN Board and org executives to finalize ICANN’s strategic plan for fiscal years 2021 to 2025! Remote participation was also available. During this session which was open to all, the community was given the opportunity to review, discuss and refine ICANN’s proposed new vision, strategic objectives and goals for the next five years using the inputs from all the attendees of this Strategic Planning Session. Following the dialogue and with the input from the community on trends anticipated to impact ICANN in the coming years, the Board had already developed a (draft of ICANN’s strategic plan for fiscal years 2021 to 2025). The draft plan was open for public between December 2018 and February 2019 and link was made available to go through the proposed plan. The document included ICANN’s mission, a vision of the future state of ICANN, and a set of strategic objectives and goals, along with desired outcomes and associated risks. In this specific event, interactive discussions took place between the board members and the participants on how ICANN events and vision can be enhanced. 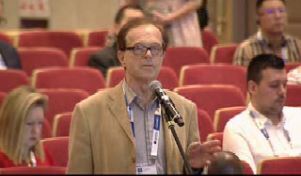 Everyone who wished told the board, their ideologies and vision for ICANN and how it can be achieved. It was a healthy session between the facilitators and the attendees. The proposed strategic plan was openly discussed to ensure no stones are left unturned. After ICANN64, with inputs received, the org ensured that they will produce a revised 5-year Strategic Plan for Board consideration and adoption.